Prepare perfectly chilled margaritas and other cocktails using the Emi Yoshi EMI-CS7 Neon Lights Plastic Cocktail Shaker 7 oz. This shaker comes with a lid that provides a tight and secure seal to prevent spillage during mixing and serving. Made from polystyrene, this BPA-free cocktail shaker is light, break resistant, and easy to clean for reuse. 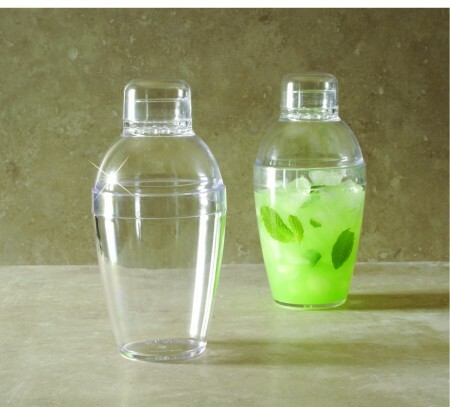 Combining affordability with the convenience of plasticware, this cocktail shaker is economical enough to be disposed of. Neon Lights Plastic Cocktail Shaker 7 oz.